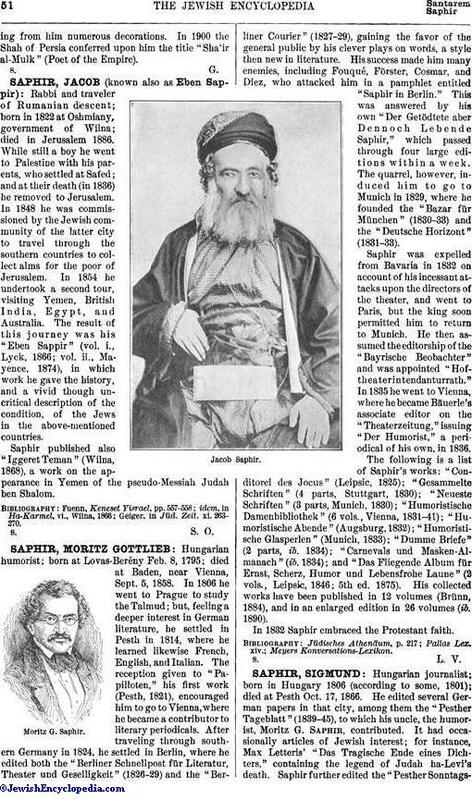 Egyptian publicist; born at Cairo April, 1839. He studied in Egypt and in Italy, and at the age of sixteen commenced to contribute articles to Arabic, French, Italian, and English newspapers. In 1863 he became professor at the Ecole Polytechnique and examiner of schools under the Egyptian government. In 1870 he introduced the modern Arabic theater into Egypt. He wrote no less than thirty-two pieces, and translated many others from European languages. In 1872 he founded the two societies Les Amis de la Science and Le Cercle des Progressistes. 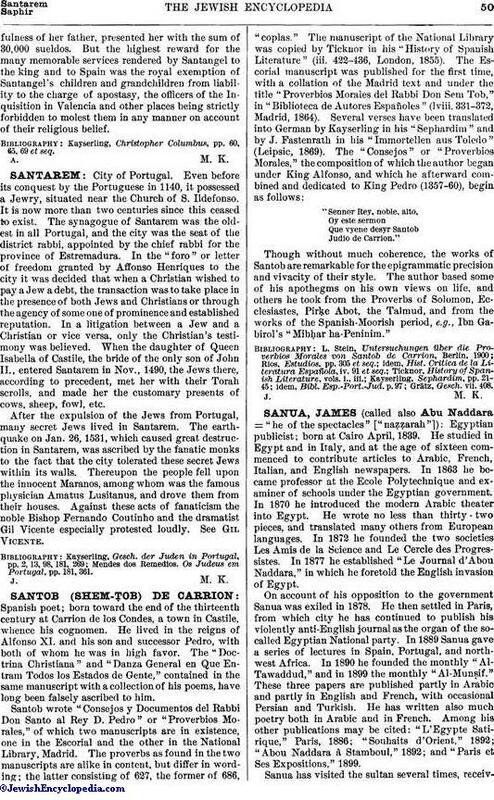 In 1877 he established "Le Journal d'Abou Naddara," in which he foretold the English invasion of Egypt. On account of his opposition to the government Sanua was exiled in 1878. He then settled in Paris, from which city he has continued to publish his violently anti-English journal as the organ of the so-called Egyptian National party. In 1889 Sanua gave a series of lectures in Spain, Portugal, and northwest Africa. In 1890 he founded the monthly "Al-Tawaddud," and in 1899 the monthly "Al-Munṣif." These three papers are published partly in Arabic and partly in English and French, with occasional Persian and Turkish. He has written also much poetry both in Arabic and in French. Among his other publications may be cited: "L'Egypte Satirique," Paris, 1886; "Souhaits d'Orient," 1892; "Abou Naddara à Stamboul," 1892; and "Paris et Ses Expositions," 1899. Sanua has visited the sultan several times, receivingfrom him numerous decorations. In 1900 the Shah of Persia conferred upon him the title "Sha'ir al-Mulk" (Poet of the Empire).